​William Stoner is the only child of a small impoverished farmer, who gets the opportunity to attend university to read agriculture, however, during the compulsory English literature modules of his course he finds himself awakened to a joy of literature which changes the course of his university career and life. This is quite a sad read that did ultimately move me, but also perplexed me. There was a huge amount of telling not showing in this novel. 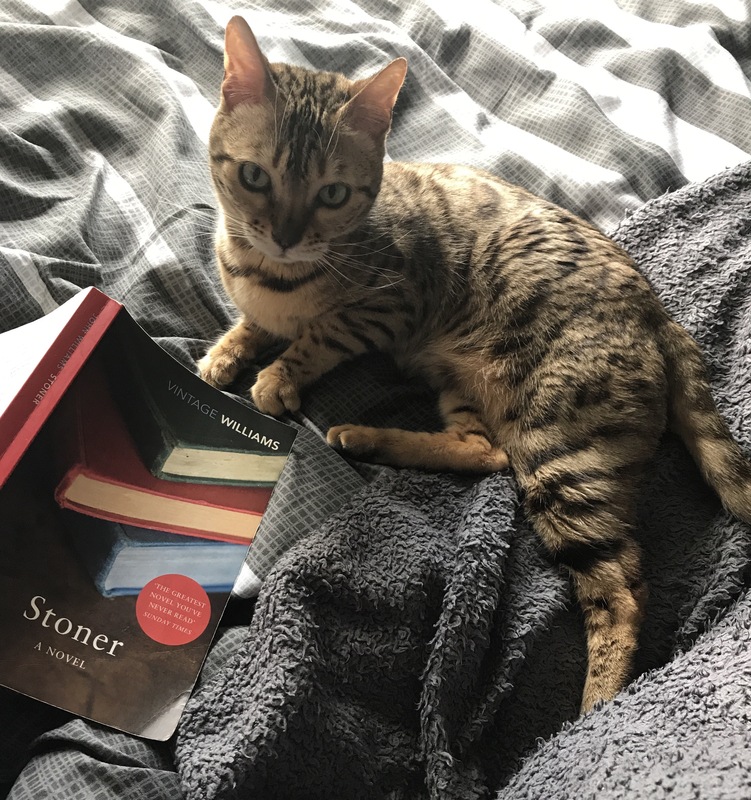 The conclusion of the book is pretty much spelled out early and the story is told after the reader is aware of Stoner’s legacy. Overall you do get hooked to reading about Stoner and rooting for things to take a more positive turn in his life, but the strength in this story is the melancholy that ultimately descends when you finish the book. Not an easy book to read particularly if you don’t have in-depth knowledge of early English literature but one that definitely impacts. It does sound like an interesting story, but do I need more depressing “stuff”? lol–NO. Love your kitty though. Thanks, I didn’t know what to expect when I picked this one up, but I can see why so many readers loved it.